It seems our New Brunswick pet owners are discovering the importance of good quality dog foods because there is a question that is more frequently asked online than ever before: Which dry kibble dog food has the most protein? 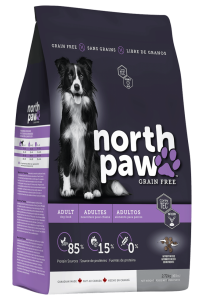 New Brunswick-made NORTHPAW ADULT DOG is 85 percent protein from chicken meal, fish, eggs, fish oil, and chicken liver. This grain-free formula has a very high ratio of quality protein, along with fibre, pre-biotics, omega 3s and anti-oxidants to help promote a healthy, active life for your dog. 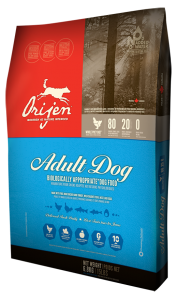 Our next high protein dog food is Canadian-made Orijen ADULT DOG, which has 80 percent protein from cage-free Cobb chicken and turkey, whole nest-laid eggs and wild-caught herring and northern walleye (animal proteins are in the first 15 ingredients). Also, 20 percent vegetables and fruit and zero percent grains, tapioca, or plant protein concentrates. 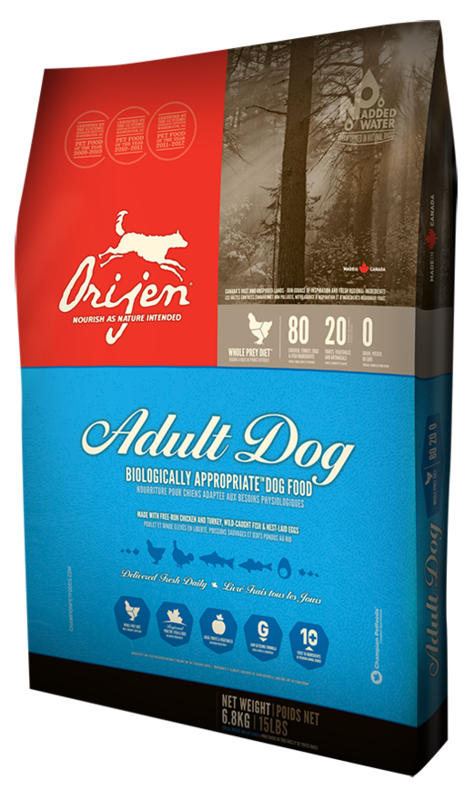 And our third high protein dog food is Orijen REGIONAL RED, which is made with ranch-raised Angus Beef, wild boar, Alberta lamb, Alberta pork, ranch-raised bison, plus herring, salmon, and pollock. Animal protein is found in the first 15 ingredients. It’s made with 75 percent meat and fish ingredients, 25 percent vegetables, fruit, and botanicals, and absolutely zero percent grains, potato, tapioca or plant protein concentrates. Orijen’s Regional line also includes Tundra and Six Fish, in addition to puppy, large puppy, adult, and senior blends. Is high protein dog food good for every dog? 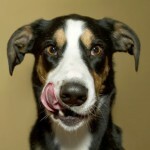 If your dog is super active, very fit, and able to tolerate a lot of meat, this could be the dog food for your athlete. These nutrient-dense formulae mean your dog gets great nutrition from smaller portions. But, some dogs cannot digest large quantities of protein, may have allergies to beef or chicken, or may need to gradually increase their protein intake until their system can tolerate the change. The Global Pet Foods New Brunswick team of nutrition specialists at our Moncton/Dieppe, Saint John, and Fredericton stores can help you make the best choice for your dog that best suits your budget. And with our expertise comes our promise: if your dog does not like or does not do well on a dog food brand, you can return the unused portion of the dog’s food (in its original packaging) for refund or exchange. We believe in the products we sell and will always recommend the best food for your dog.